We got our first dusting of snow for the season. As soon as my son saw that the ground was covered white, he asked if we could build a snowman. There wasn’t enough snow to make a snowman, but it was snack time. 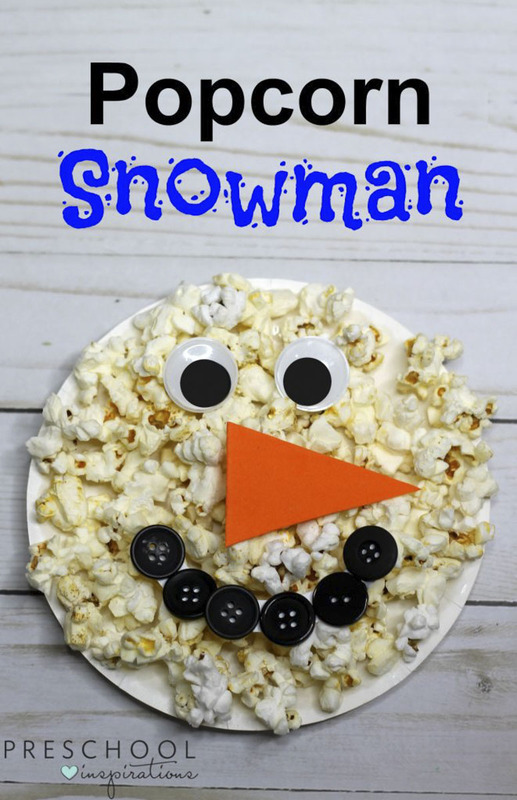 So I thought it would be fun to create our own popcorn paper plate snowman. One of my favorite things about this easy-to-make, Winter craft is that it is inexpensive to make. If you don’t already have the supplies at home or in your classroom, you can find everything you need at the dollar store. This simple activity requires very little preparation too. All you need to do is pop the popcorn, let it cool, and pour it into small bowls. Then, you can lay out the rest of the materials for your students. To begin making the snowman, the children will spread glue onto a small paper plate. 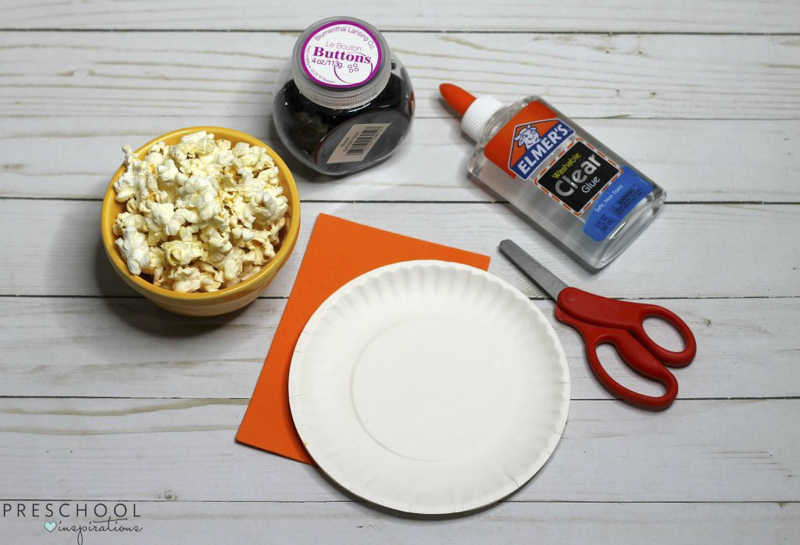 It is easiest if they pour some glue into the center of the paper plate and then spread it around with a paint brush, their finger, or a cotton swab. 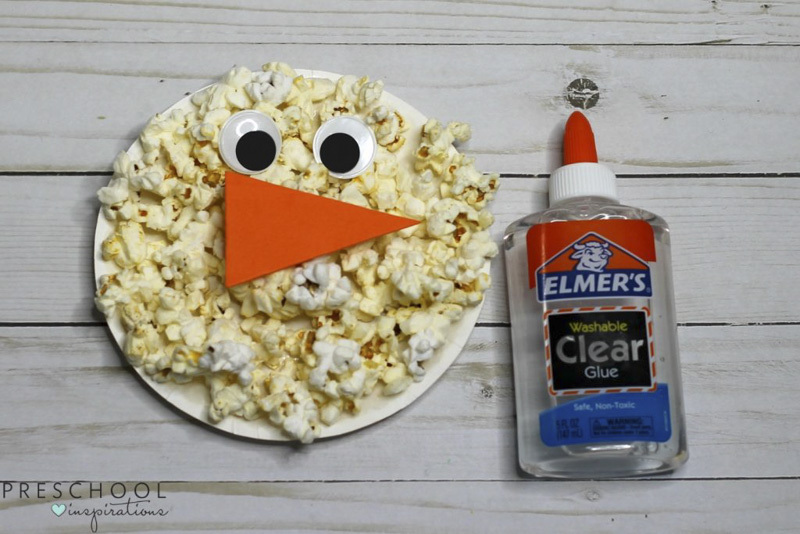 Next, the children will use the popcorn for snow and place it on top of the glue so the entire paper plate is covered. While the glue dries, they will cut a triangle out of the orange craft foam. You can create a triangle template out of cardboard that your students can use to trace onto their craft foam if needed. Then, the children will glue the orange triangle onto the center of the paper plate for the snowman’s nose. For the snowman’s eyes, the children will glue two large googly eyes above the orange triangle. They will then glue several small black buttons below the snowman’s nose for his mouth. If you don’t have black buttons, you can use craft foam, pom poms, or black card stock. To extend this activity, your children can create the rest of the snowman and add a hat, stick arms, boots, and a scarf. 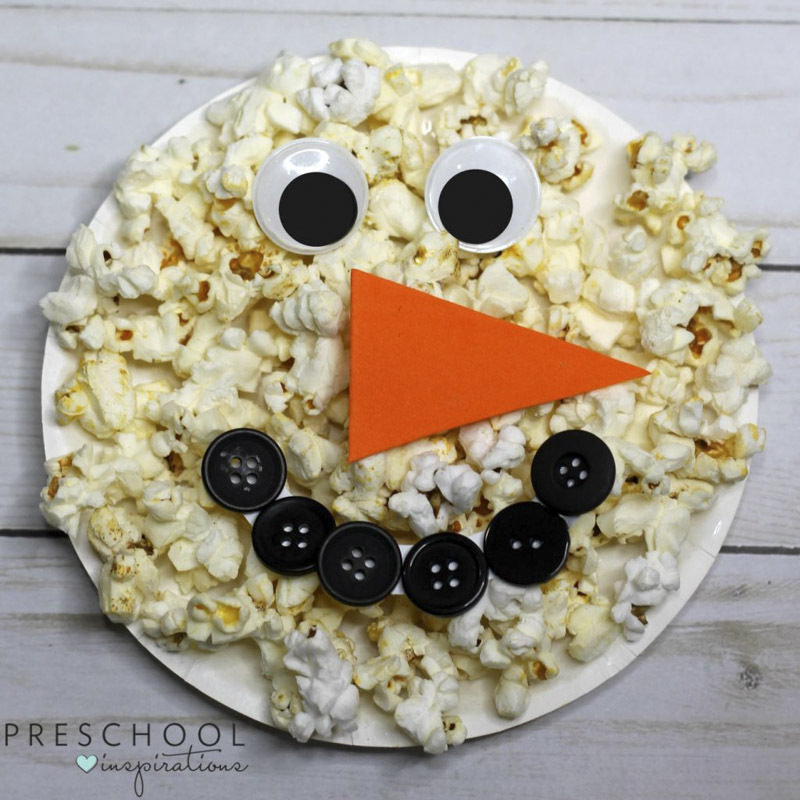 This cute popcorn paper plate snowman is an easy and fun craft for children to create. Perfect to celebrate the first snowfall of the season. If your children loved this, have them try a melted snowman sensory bin next.